Work on this holistic water and sanitation project began on March 29, 2016 and is likely to take 18 months to complete. Our primary contact international partner for this project is RC Ignacio, California, USA. Other participating clubs include RCs Marin Sunrise and Marin Evening, all in District 5150, California, USA. The total budget for the project is US$46,302. 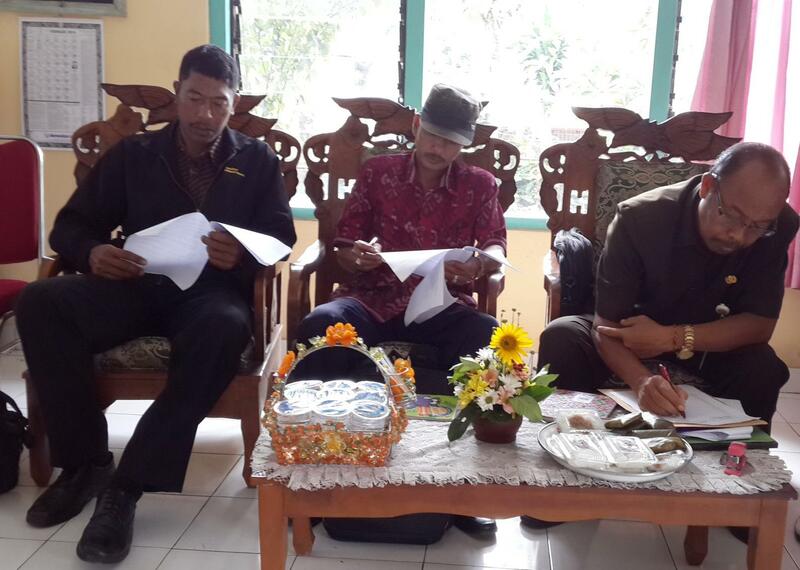 Before any actual work began on this project, beneficiaries were asked to sign MOUs that detailed their responsibilities throughout the project and also listed RC Bali Seminyak’s responsibilities. We expected getting all the necessary signatures would take up to two weeks, but the school principals took on the entire responsibility of reaching the necessary individuals and government representatives and collected all signatures within three days! Here in Bali, before a project begins, there must be a small ceremony asking permission to do the project and asking for the success of the project. The Balinese calendar must be consulted to find a ‘good day’ to do this small ceremony. To make matters even more complex, a ten day BIG religious ceremony was about to begin and if the small ‘permission’ ceremony wasn’t held before the BIG ceremony, the project would have to wait for six week before it could even start. Again, the principals didn’t waste a moment finding a good day for the small ‘permission’ ceremony, and all five schools held their ceremonies two days before BIG ceremony began. The project could start immediately! The first major event in the project was a three day vision screening and eye examination for the children and any adult who chose to be examined. Where necessary, cataract surgery was performed in mobile clinics located at the examination site. Pre-testing has been completed which will provide a baseline for evaluation and data is being compiled for analysis. Much effort was put into working with teachers so they understood this was not a test of knowledge and did not reflect on their teaching skills! Every classroom was monitored by Rotaracts and members of the Rotary Community Corps during the pre-test Administration... just to make sure there wasn’t sideline coaching during the pre-test. The project is now in the construction phase. It will provide consistent water supply to the schools, functional toilets and wash basins for the children. Construction is expected to be completed October 2016. All labor is provided at no cost by the villagers. (Gotong Rayong = Mutual Cooperation). Labor is the schools’ and villages’ contribution to this project. The next phase of the project will include three separate basic hygiene training seminars at each school and will begin following completion of construction. It is important to have water, toilets and wash basins ready for use by the children at the schools so they can immediately begin practicing what they learned in the basic hygiene trainings. 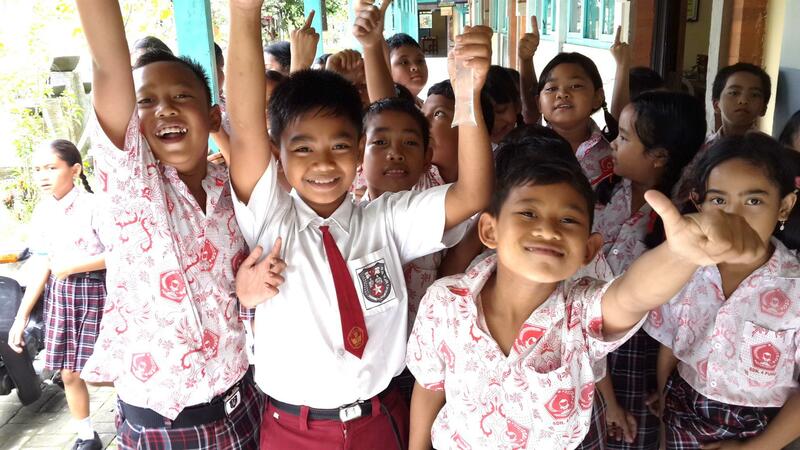 Remaining project activities include training in how to keep toilets clean, distributing grade level appropriate health related reading books, shelves to keep the books in each classroom, and post-testing for evaluation purposes. The government clinic has agreed to visit each school at least once a month to check on toilet cleanliness or other sanitation problems at the schools and report findings to our club for follow-up. 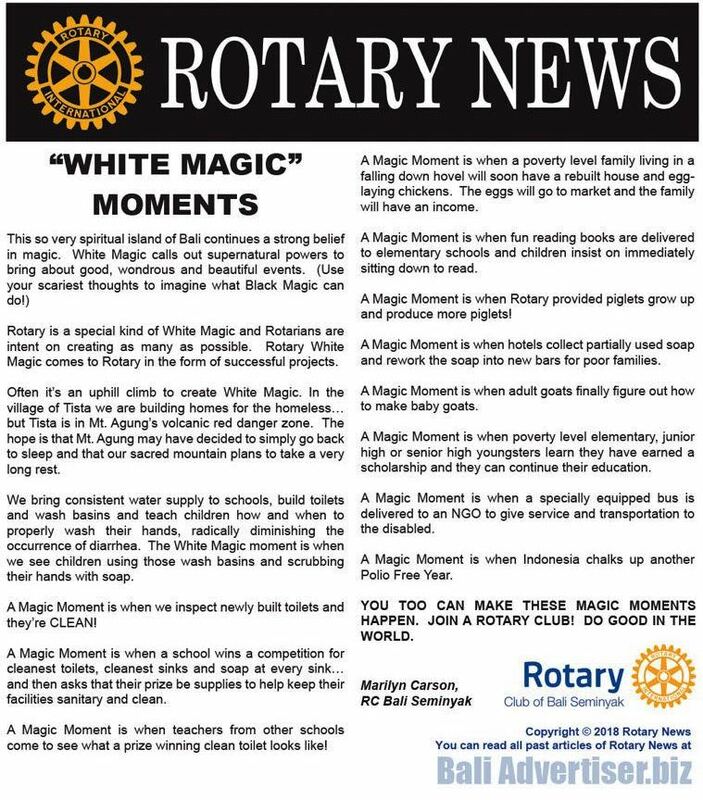 Finally, competitions will be held to identify the school(s) with the cleanest toilets and children with the cleanest hands. This will occur after the project’s completion. We hope all the schools are winners!